This week kicked off with a bang! We chose our exterior paint colour (yay). And when I say ‘we chose’, you know I actually mean ‘Bonnie chose’ and funnily enough it was the first colour Bon picked out of the 5000 choices from the Taubmans Colour Chart. So what colour did she choose? MINK SCORPIO HALF by Taubmans. It was sample #1 of the paint swatches on the brick wall – a gorgeous light grey – the lightest we’ve ever chosen. With white trims, in Snowdrop of course, our house is going to have a light, fresh, breezy feel. 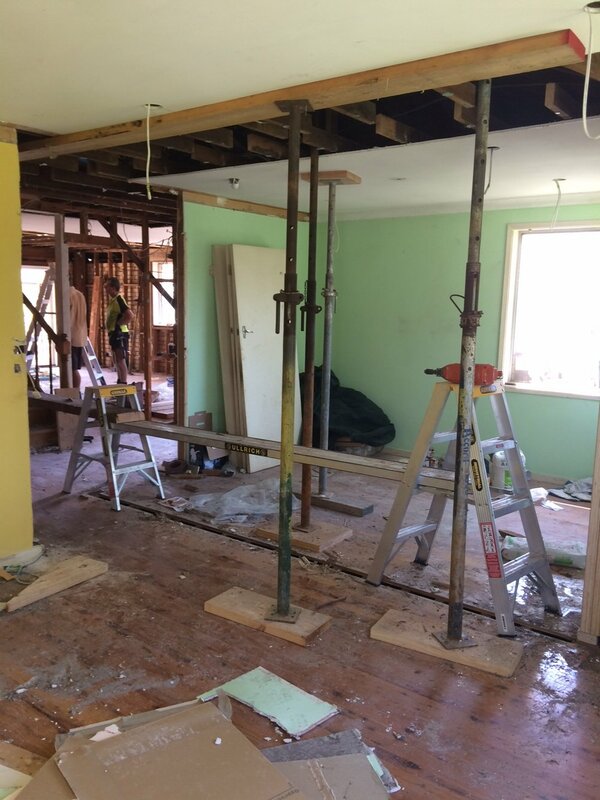 This week we also completed our plumbing and electrical rough-in, ripped down walls, put up new ones and installed our structural beams to make the house solid again. Good news is we had our first visit from the Certifier and passed with flying colours. Phew! We also got a surprise visit from an asbestos inspector and he gave us a clearance certificate too. Double-phew! To finish off the week, we all hit the hairdressers. Now don’t get me wrong, we don’t usually co-ordinate our trips to the hairdresser but we’re filming some content for Taubmans next week so had to make sure we were looking fresh. Quite frankly, for one of the Birds (not mentioning any names), it was an emergency visit - her grey roots were almost down to her ears (the fact she's just popped out a baby is no excuse in my opinion). So on Thursday night we sent these pics to each other saying “I want to look like this when I leave the hairdressers tomorrow”. Can you guess who sent which pic? To be honest with you, we were a tad disappointed when we left the hairdressers. Not sure if our expectations were too high or the hairdresser was just off his game that day - but we didn’t come out looking anything like those pics. Ez's attempt at balyage bombed as she ended up with a small strip of dark roots - she had to go back and get it redone. Bon still can't work out why she doesn't look like the picture!? Um..... perhaps #thosecheekbones #thatnose #thoseeyes. Just saying. Woo-hoo week 3 is here! We’ll be fixing all the exterior cladding with new Hardie Planks and painting the outside of the house. We’re pumped for the moment our painter, Peachey, will get out his spray gun to paint the brick! It’s magic! If you want to see him spraying our last house check out our YouTube channel Ep 7. Our trademark French doors will also be installed next week and plastering will begin. It’s amazing how the new house starts to take shape once the Gyprock goes up. How can you afford to buy the houses and renovate them? 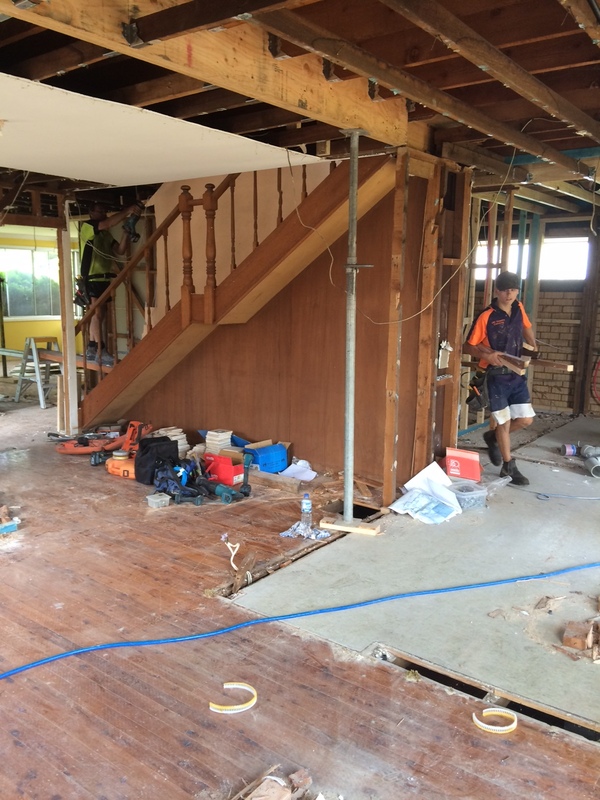 For the houses we renovate, we usually need approx. $1m to buy and renovate them. One of the biggest things that makes this possible is splitting the bill three-ways, meaning we each bring $333k to the table. Where that $333k comes from varies for each of us but it’s basically borrowed money that we have used our own homes/assets as security for that loan or line-of-credit. We don’t use the house we are purchasing as security for a loan. We can’t, because we are buying it in our company name and at this early stage of our business, we cannot borrow money as a company. This is something we hope to do in the future as we get more runs on the board. Our best advice would be to speak to experts in the field of financial planning and accounting so they can advise you based on your personal situation - that’s what we did. 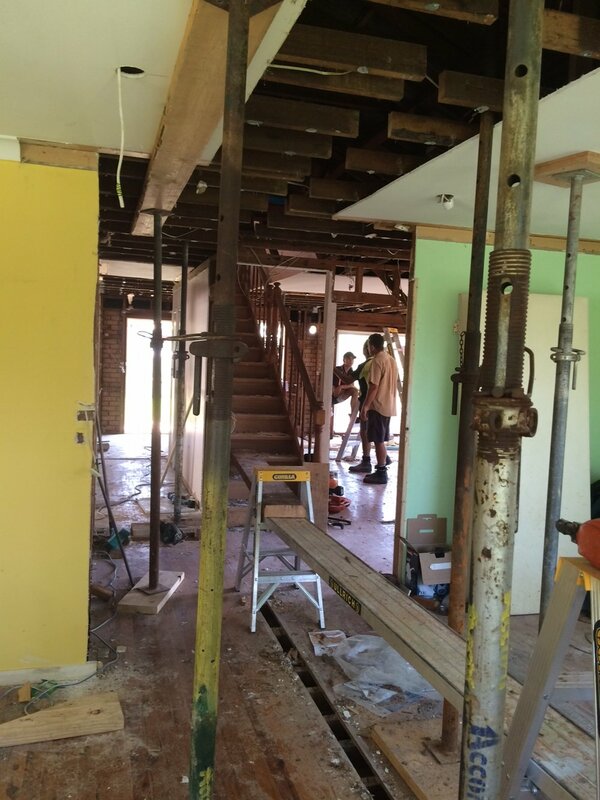 Don’t forget to follow our story on Snapchat [threebirdsrenos] for a sneak peek of our House 4 transformation.